There are many reasons why we stop hearing as we’d like to, and everyone can be affected, regardless of age. Hearing loss often occurs gradually, so that we tend to forget how things sound and therefore your lifestyle can be affected in a number of different ways. You strain to hear when someone talks quietly. you often find yourself asking people to repeat themselves. Following a conversation is difficult when in a group of people. You have to turn up the volume on the TV or radio – often so that it is too loud for other people in the room. You have difficulty hearing someone call from behind or another room. You find it increasingly difficult to hear clearly on the telephone. You find it hard to hear at the theatre, cinema or church. You have begun to limit your social activities due to hearing difficulties and therefore feel isolated from the world. If a hearing loss (even if it is only slight) is affecting your quality of life, you can do something positive about it instead of trying to cope. This could just mean just going to see your local, independent, friendly hearing aid audiologist at one of Charlwood Hearing Care’s centres to talk through all the options available. 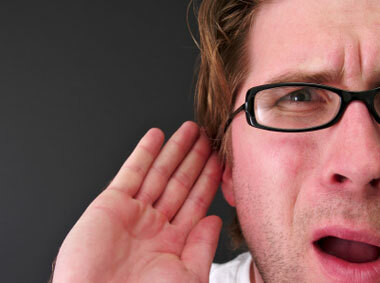 Understanding and accepting a hearing loss is the first step to overcoming the difficulties it causes.